1. A week of beautiful Autumnal weather! Crisp air and bright sunshine, what could be better? 4. Getting 8 straight hours sleep on Tuesday night. I’m writing this down because a few months ago it felt like I would never get more than a couple of hours sleep at a time again, and so I want to remember and savour how great it is to have a baby who sleeps right through before we start thinking about adding to our family and returning to the sleeplessness once more! 5. Tania’s cabin music Spotify playlist. The best! 6. Online browsing for interiors inspiration for our new house. I’m so excited to get crack on with the redecorating and styling! 7. The bottle of Kiehl’s Magic Elixir that Jason picked me up in London this week after I’d been complaining about my scalp and hair being so dry now that the weather’s turning cold. I’ve only used it a couple of times but it seems to have worked already! 8. Watching Ottilie eat broccoli with more gusto than any other food I’ve ever placed in front of her. She is OBSESSED. And I’m happy about it! 9. Toast. Butter. Marmite. Enough said. 10. Getting out to gym classes twice a week. The drive there and back feels like a bit of peaceful ‘me’ time, and the classes are bring back muscles in my body I forgot I ever had! 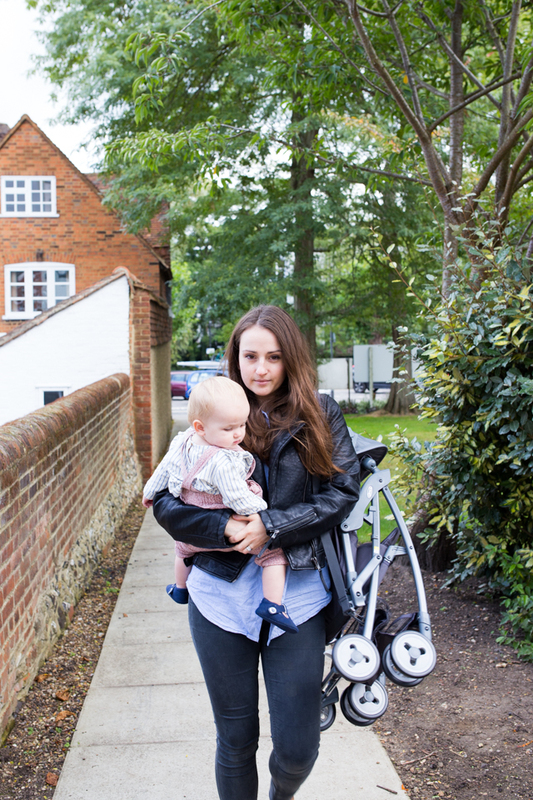 Exploring our new area, & the pushchair that’s changed my parenting game! 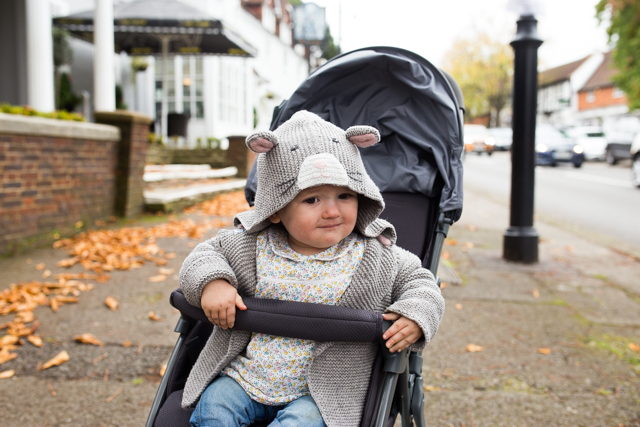 Now, I’d like to head up this post with a little disclaimer that Ottilie’s facial expression in the vast majority of these photos is in no way a reflection of the comfort of this pushchair. ;) She’s at that awkward stage right now where she’s just started taking her first few independent steps (just this weekend, woohoo!!) so now all she wants to do is walk, but isn’t anywhere near steady enough to toddle along with us when we’re out and about for any length of time. 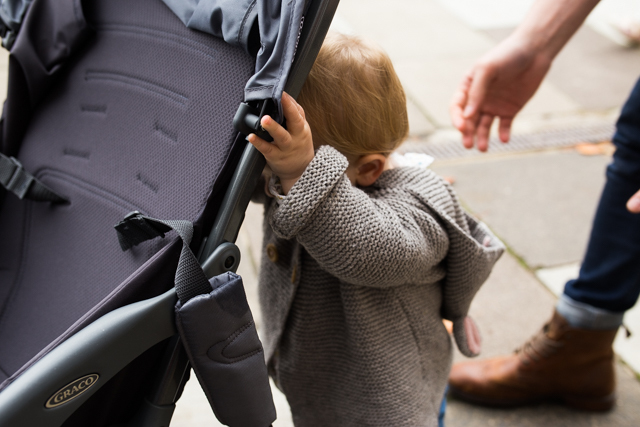 And so, pushchair rage ensues! Haslemere’s such a pretty little town, and is where we’ve dreamed of moving nearby to for a good few years now. I’m so excited to explore the area, so any tips for places to visit will be welcome! We got to Haslemere bright and early, and after swinging by our new house just to say ‘hello’! to it, parked up in the centre of town and went for a mosey up the high street with coffees in hand and Ottie in the pushchair. When I was pregnant one of Jason’s cousins advised me that there may come a time when I’d be more concerned about having a lightweight, one-handed folding pushchair than the ginormous fancy one I was about to order. I privately thought she was crazy, and that it really wouldn’t be all that big a deal, but now? I TOTALLY get it! The real genius about the Featherweight for me is the fact that it’s just so, so easy to put up and collapse. 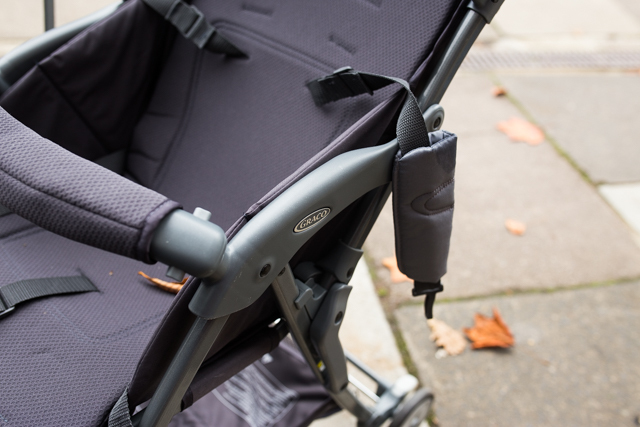 It weighs a mere 3.7 kilos (the lightest pushchair in the UK! ), and with just the press of a button on the handlebar and one simple action, it pops up and is ready to go! And when you’ve got a baby on one hip, not having to faff about sorting out a chassis and then clipping on a seat is a total lifesaver! Above we have a photo of an angry mouse, totally unimpressed by her Mum’s attempts to use a dried up old leaf as a way of coaxing a smile out of her…one to frame, for sure! 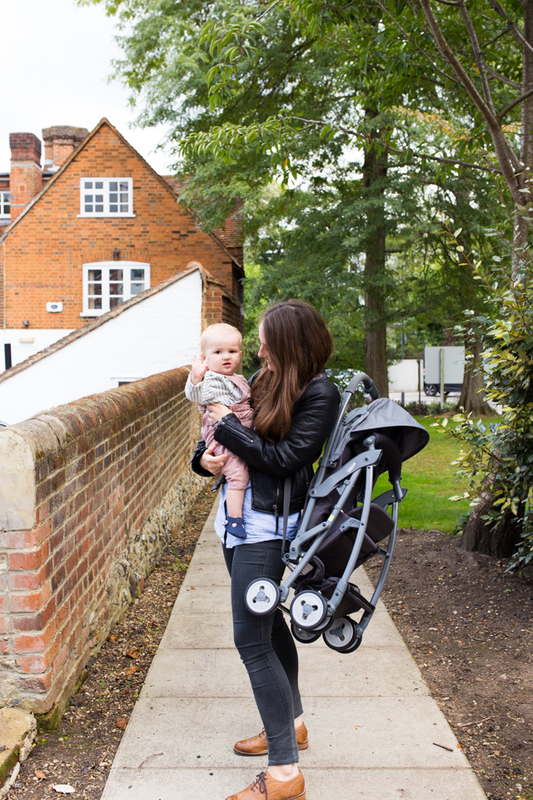 The other feature of the pushchair that’s just complete genius, that I mentioned a little in this post here, is the fact that because it’s so light and comes with an attached carry strap, you can carry it on one shoulder! Alternatively, you could just let them use the pushchair as a walker which, it turns out, is a great game and will keep your babe happy long enough that you can sit and drink your coffee whilst it’s still hot! Bliss. This post was part of my ongoing partnership with Graco! 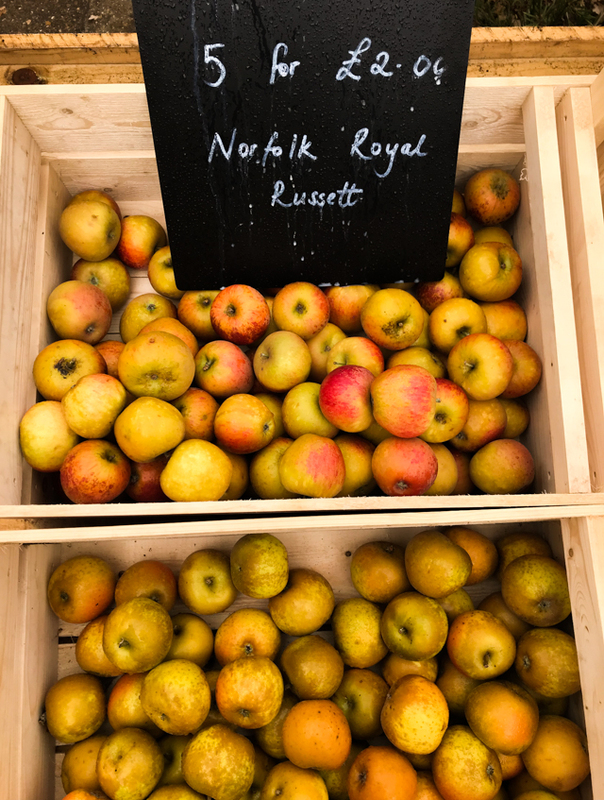 Thank you for supporting the branded content that makes Cider with Rosie possible. 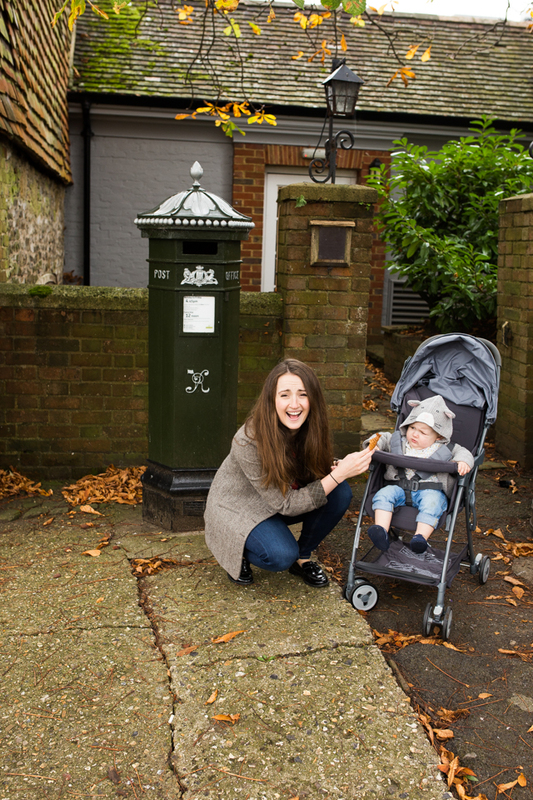 Life on the go with a baby- tips and tricks! Ottilie’s now just over one year old and has been on the move for a good four or five months, though I honestly can’t remember a time before she could crawl at 100 miles per hour! Gone are the days when I could park her on a playmat in the middle of the living room and then dash into the kitchen to wash and sterilise bottles (whilst checking in on her every minute or so, of course! )- now she can get from the living room to halfway up the stairs in the blink of an eye, and is never happier than when bombing around pushing her walker and leaving a trail of mess and destruction in her wake! Books come flying off the bookshelf, shoes get picked up and redistributed around the house, and she’s drawn to my sock drawer like a bear to honey…the mess is like nothing I’ve ever experienced! 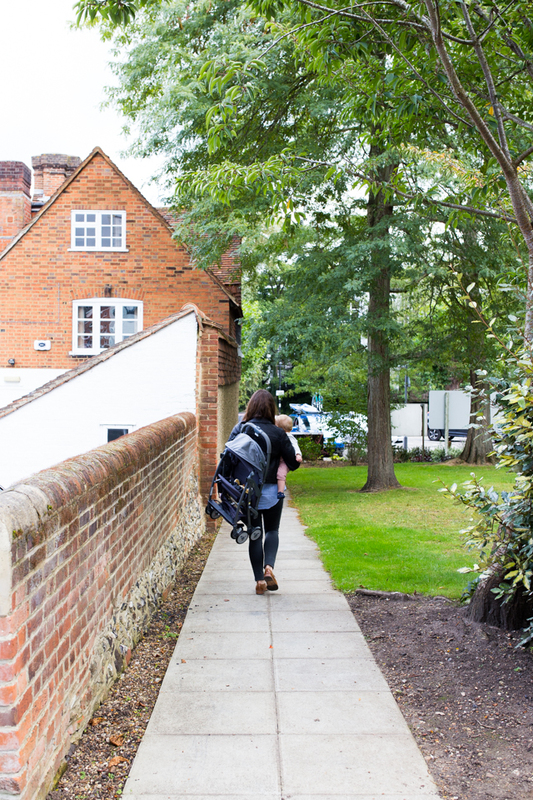 As part of my ongoing collaboration with Graco this year, I was recently sent over a little factsheet all about how non-stop and physically strenuous the life of a new parent is, and it totally blew my mind. 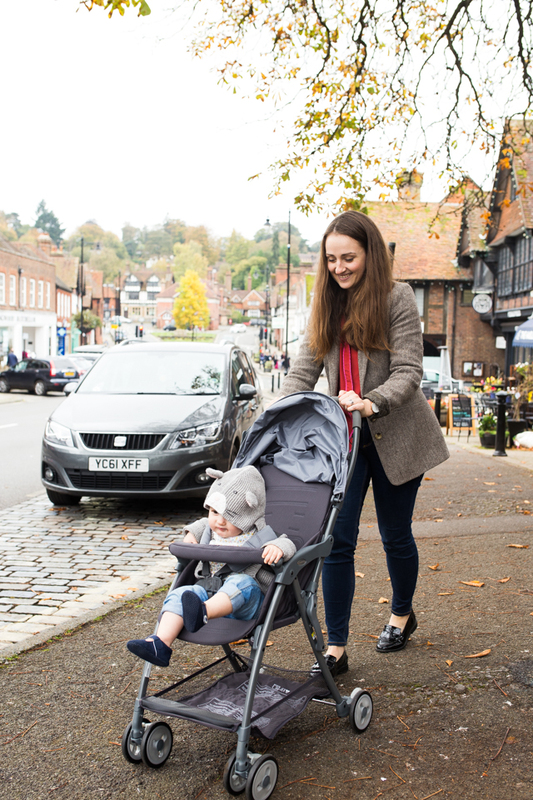 Did you know that according to Graco’s research, new parents typically spend an average of 8 hours a day on their feet and carry around up to 17.5kg in weight (SEVENTEEN KILOS! ), all whilst functioning on less than 6 hours sleep a night?! 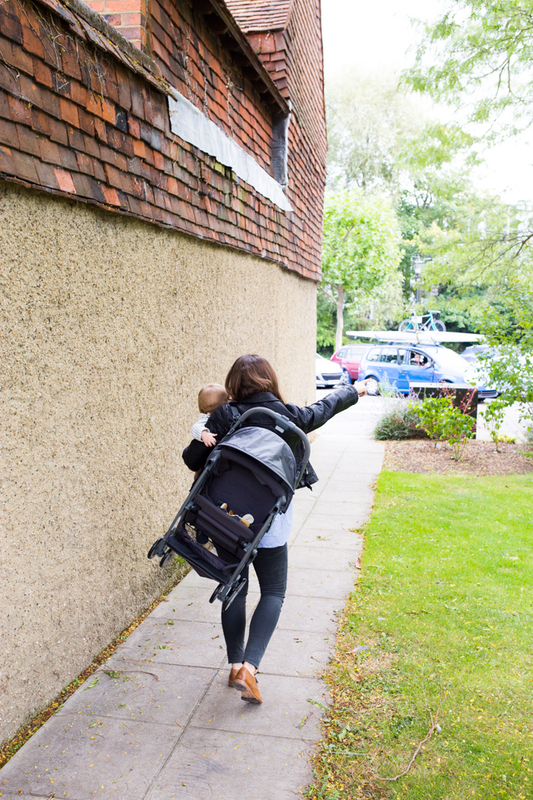 So, as a kind of of two-parter to this post here, all about the tips and tricks I’ve learnt for life with a new baby, I thought today I’d share a few things I’ve learnt about juggling life with a baby on the move! 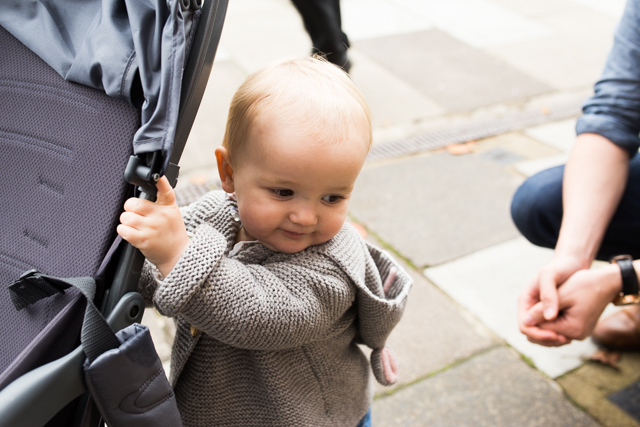 As any parent with a mobile baby knows, as soon as they can crawl or walk, it’s basically all they want to do! The pram used to be the place Ottilie took her longest and most peaceful naps- some days we’d go out for lunch and she’d snooze in her bassinet for two solid hours! Bliss! Now however, when she’s done with being in the pushchair, she is DONE! 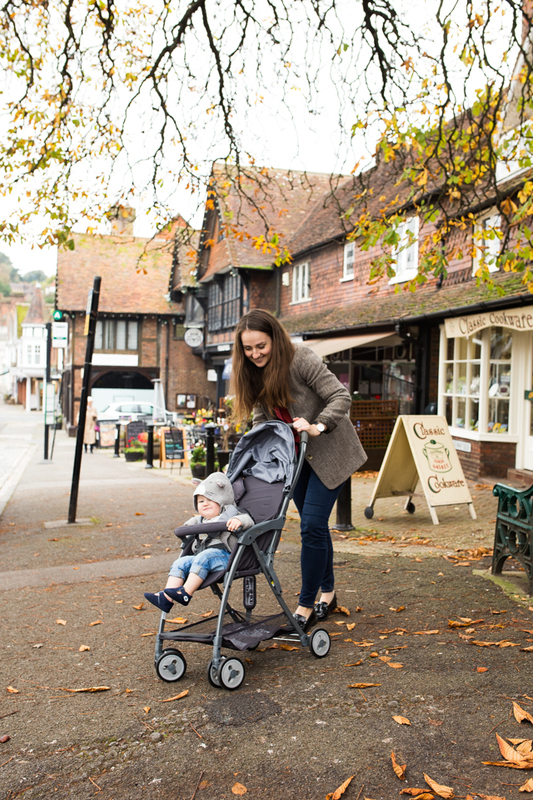 Which is why the new Graco new Featherweight pushchair that we’re currently road testing is a total dream- it’s only 3.7kilos, so light that you can fold it down and throw it over your shoulder when little one wants to get out and be carried or to walk along holding your hands. 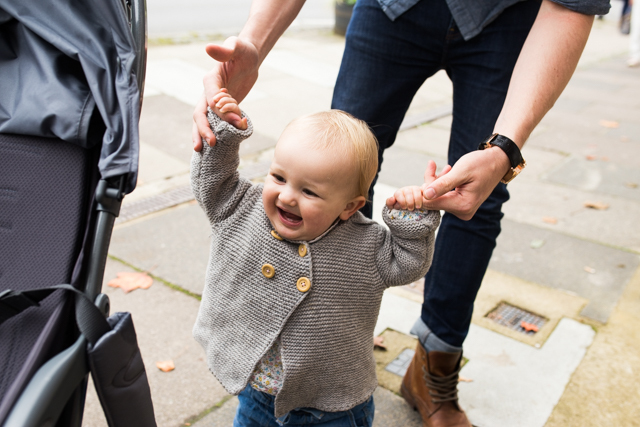 As much as we’ve loved having a larger travel system pushchair over the past year, being able to fold up and carry the Featherweight when Ottilie wants out and so avoid the ‘baby on one hip whilst awkwardly manoeuvring pushchair with the other hand’ scenario is completely amazing. With an older baby comes a wider variety of demands. Up until six months the cries are usually pretty simple to decipher, with milk, a good burping, a nappy change, and sleep often being the cure for all evils! But now…you’re hungry? You’d like a snack? Not that kind of snack, no? You’d like to walk, or crawl around on the floor of this busy restaurant? You’re tired but can’t go to sleep without Jeffie the giraffe and we left him in the car?…Things are more complex!! I find it helps to plan my day in chunks, with the morning spent at home so that Ottilie can have plenty of time to crawl around and burn off a load of energy before a decent late morning nap, and then we’ll head out to meet friends or go to a class or activity of some sort before getting home for a later afternoon nap and another play before bed. And having your changebag (top tip- go for a rucksack for hands-free carrying!) 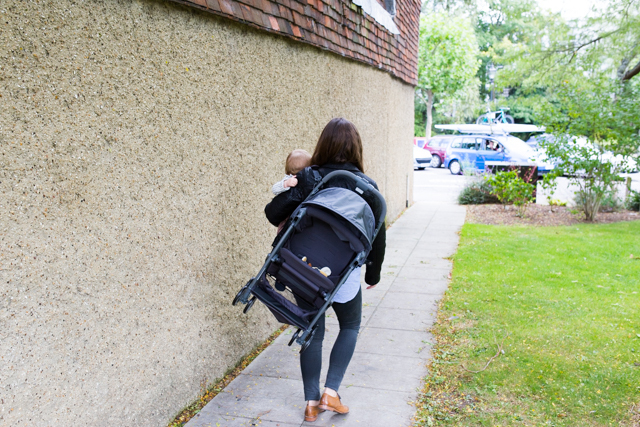 packed and organised is more important than ever, when it comes to getting out and about with an older and more active baby. Keeping a tupperware pot filled with a selection of snacks is essential (you know, for all the food based bribery you said you’d never do but totally will ;), and a little toy bag filled with a couple of fun pop up books, puppets, and musical instruments is great for keeping baby busy when you’re on the go. 03 :: Hide cleaning supplies in every room! Graco’s research says that 53% new parents number one stated their number one challenge is keeping on top of household chores. Well, I can fully believe that let me tell you! In fact, I’m undecided if it was harder to keep the house tidy with a tiny baby who you can’t put down or with an older baby who makes a mess of whatever you’re attempting to clean and organise…I mean, it’s basically a never ending task either way! But seriously, it might feel like one level of multitasking too much at the time, but anything that means you can actually sit down once you’ve put your baby to bed for the night and not have to then get cracking on the cleaning is a winner in my book. Tanith Carey, author of Parent Hacks, suggests snapping a quick photo of the inside of the fridge before heading to the shops, so that when you’re in the middle of Sainsbury’s wondering whether or not you finished the mango chutney last Tuesday or how many bottles of soy milk are left in the fridge, you can glance at the picture and have your answer! Attempting a food shop in person can often be difficult in itself, and so online shopping is king if you ask me! 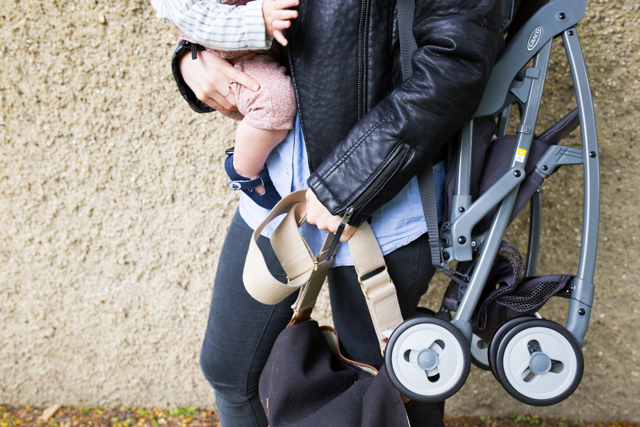 It means you don’t have to attempt to juggle taking your baby round the supermarket with you, and most importantly allows you time to actually concentrate on what you’re buying so that you don’t end up overspending and wasting food. I’ve also found it a godsend to have one or two basic food shops saved on Ocado, so that when you’re having one of those parenting weeks where it feels like you’re stretched to your absolute limit, getting in your groceries is just a case of logging onto your favourite supermarket delivery site and clicking ‘Order!’! 05 :: Make time for yourself. 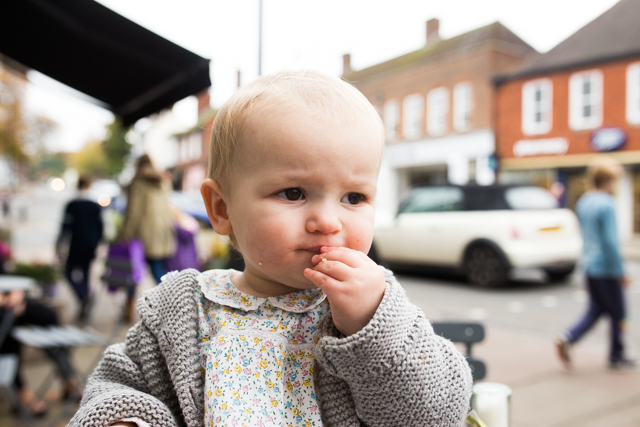 Okay, here’s my number one tip as learnt many, many times over this last year- when you put your baby down for a nap, the absolute first thing you should do is make yourself a cup of tea and something to eat, and then sit down and enjoy it! Because by the time you’ve thought ‘I’ll just stick a load of laundry on, and actually the dishwasher needs filling and maybe I’ll just sort out the baby’s lunch whilst I’m in the kitchen’, nap time will be over and you’ll not have had a single second of downtime! So whether it’s by napping when baby naps, heading upstairs for a relaxing bath at the end of the day, or running out to a Pilates class once baby is in bed, it’s important that you take time to relax and unwind after expending so much energy all day long. And remember, happy Mum equals happy baby!